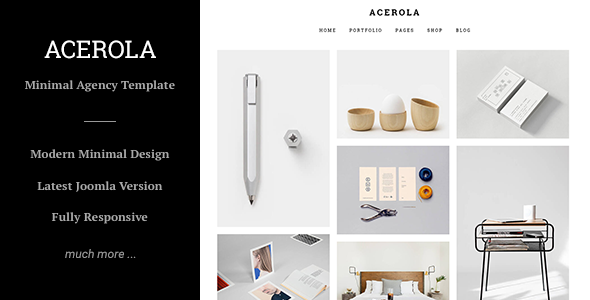 Acerola is a one hundred% responsive Multi-Purpose One & Multi web page Joomla Template with superior parallax results. Its clear and professional design is ideal for each businesses and artistic studios but in addition for contemporary companies. Acerola could be simply custom-made to fit your needs – there are completely no limitations! Cross browser suitable – examined in IE N,10,eleven; Firefox; Safari; Chrome and Opera.